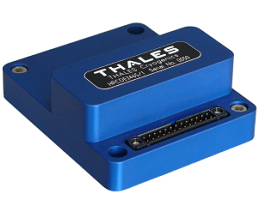 Thales Cryogenics’ Cooler Drive Electronics offer an unsurpassed performance in efficiency, temperature stability, compactness and robustness. 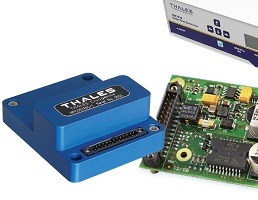 Thales Cryogenics offers a wide range of Cooler Drive Electronics for all its coolers, using qualified components, which together with dedicated software ensure reliable and accurate control of the cryogenic temperature and input power to the cooler. 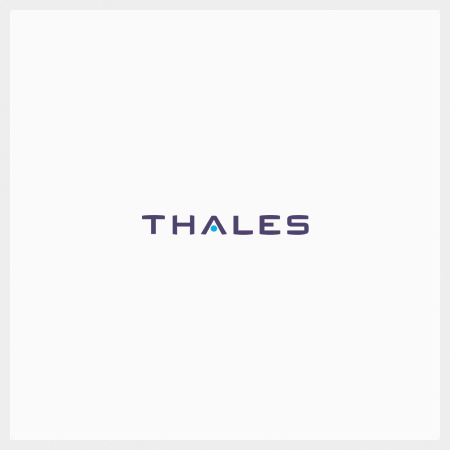 Next to the standard Cooler Drive Electronics, Thales Cryogenics has dedicated know-how on electronic drivers which automatically compensate the residual induced vibration generated by the compressor. In combination with adequate mounting techniques, induced vibrations as low as several mN’s are achievable. Since most our electronics are designed and manufactured in house, customer specific solutions can be developed on request. 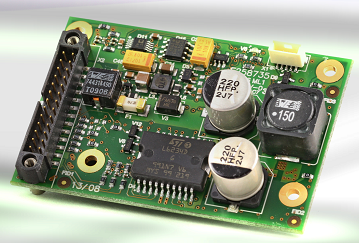 The xPCDE series of cooler drive electronics offers high efficiency and performance in a compact package, suitable for integration in a system where DC power is available. Three base products are available, with the correct choice of converter depending on required AC current and voltage. 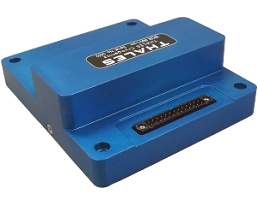 For bench top applications, such as in a laboratory, the mains-driven CDE7232 is available. Launched in 2013, this controller combines high performance with the ease of use of a display and push button interface. 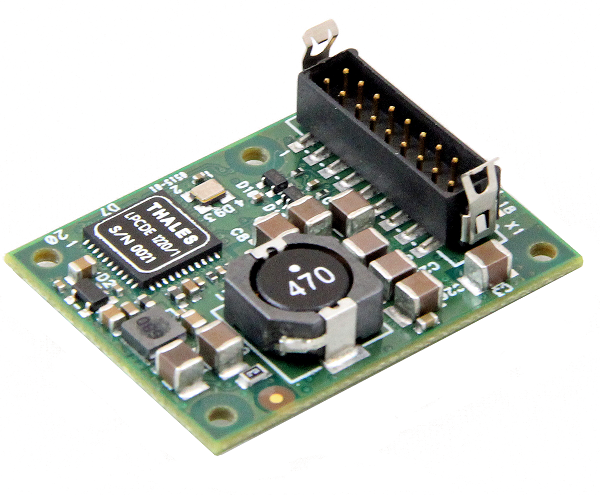 This converter can be delivered with Active Vibration Reduction software. For all Thales controllers, Windows-based GUI software is available for easy control and operation. 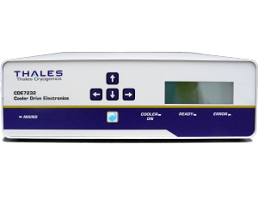 The CDE7232 is the first Thales cooler controller designed specifically for bench top use in laboratory or engineering environments. 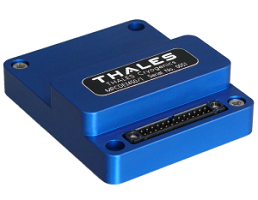 It combines all the features of Thales state-of-the-art linear cooler drive electronics line with an easy to use push button interface. For the range of rotary monobloc coolers, Thales manufactures dedicated Cooler Drive Electronics (CDE). The CDE is supplied as a separate printed circuit board with connection to the cooler engine input contacts (for RM2 and RM4 coolers) or directly integrated into the cooler for the RM3.